Best Places To Kayak in the U.S.
Do Wetsuits Make You Float? What Are the Types of Triathlons? The waters around Great Britain have some excellent and quite unique diving sites. Although you’ll need a thicker wetsuit or drysuit for the colder ocean temperature, there are some great places to explore in this area, including historic wrecks and spots where you can go diving with seals. 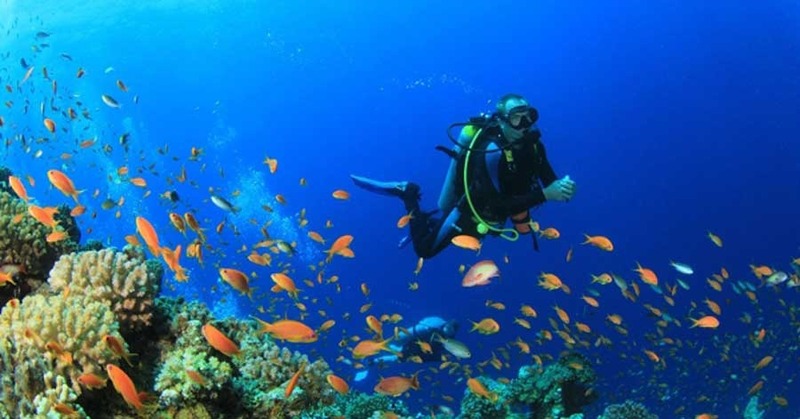 Here’s a lowdown on some of the best sites for SCUBA diving in the UK. Just a few miles off the coast of Cornwall, the Isles of Scilly are as near as it gets to America. The subtropical climate means it is perfect for diving and the history of wrecks in this area is a big attraction. There are colorful reefs, clear waters and the wrecks of old sailing ships here. The islands are a top destination for snorkeling with seals. You’ll find the water temperature is warmer here than other parts of Britain. Image of Skomer courtesy of essentialtravel.co.uk. One of Britain’s best reefs is off the Pembrokeshire Coast in Wales. Skomer marine reef is renowned for its prolific wildlife, including catfish, seahorses, urchins and more. This area has fishing protection regulations, so there are lots of marine species to see. You’ll also find walls descending 50 feet or more and plenty of wrecks in this area, which mean it is one of Britain’s best-known dive sites. The Orkney Islands off Scotland’s coast may seem a cold option for SCUBA diving in the UK but there are lots of reasons to head to this region. Scapa Flow was one of the most famous sea battles of World War I, so diving around these historic battleships today is a poignant, exhilarating experience. Today there is a lot of marine wildlife in and around the wrecks, including urchins and starfish. Off the coast of Northumbria is one of Britain’s most dangerous shipping lanes. As a result, the area is renowned for wreck diving. You’ll also meet the seals for which the Farne Islands are famous. Divers and snorkelers can get up close to the seal colony, and sometimes the seals like to play by tugging at fins. The United Kingdom is a great place to explore and go diving. Keep in mind that water temperatures in these diving spots can vary, so the best advice is to bring a SCUBA diving wetsuit for protection and warmth as well as any other SCUBA diving equipment.